Battered cod always reminds me of two things: (1) weekend family fish fry’s and (2) my years at St. Joesph. You see I went to a Catholic school growing up and like just about every other Catholic church without fail on EVERY Friday we had Mass in the morning and fish for lunch. Especially during the Lenten season. Needless to say fish is a very present part of my weekly indulgence. I guess some things remain the same. The only difference from then to now is that my palette has evolved and I enjoy more than just cod on Fridays. But I can say that whenever I am feeling a little nostalgic I just whip up a batch of these babies. And instantly I am transcended back to a time when I was little girl :-). 3. Mix Batter Mix and Old Bay in medium bowl. Add beer or water; stir until smooth. Pat fish dry and dip fish into beer batter. Shake off excess. 4. 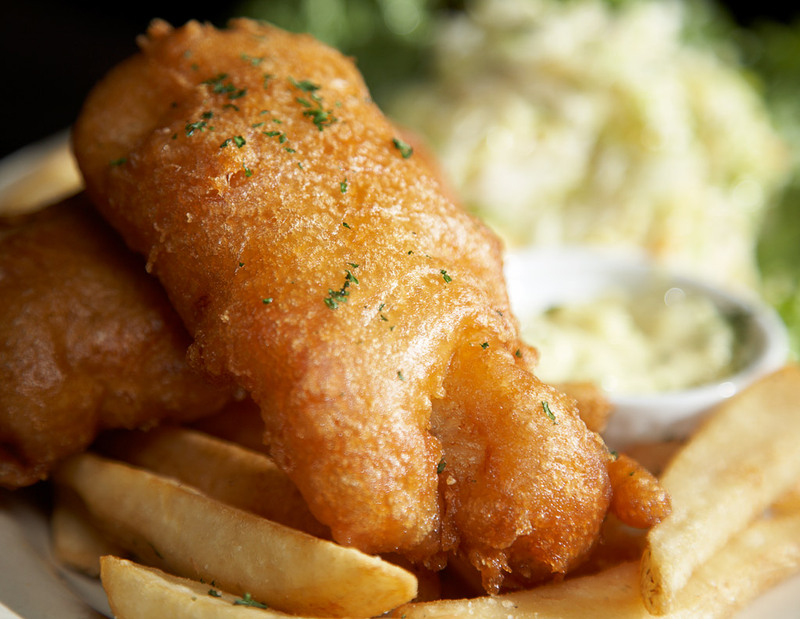 Fry cod in batches, in a single layer, 3 to 5 minutes on each side or until golden brown, turning once to brown evenly. Transfer to a paper towel-lined baking sheet and keep warm in oven. Repeat fry process until all fish is cooked. 5. Serve Hot with tarter sauce, malt vinegar or your favorite condiment. *CHEF’S TIP – This recipe can easily substitute the cod with pollock, halibut, tilapia or even peeled and deveined shrimp. Posted on August 20, 2012, in Lady Fab Cooks and tagged beer, beer batter, cod, dinner, fish, food, lunch, malt vinegar, McCormick Beer Batter Seafood Batter Mix, Old Bay seasoning, Pesca Vegetarian, recipe, the porter house grille. Bookmark the permalink. Leave a comment.